Want to know the future of jobs,even world wide?Listen to:Edward E. Gordon is a leader with vision. As President of Imperial Consulting Corporation in Chicago and Palm Desert, California, he is a human capital management expert who applies a multidisciplinary approach to today's complex workforce and economic development issues.Gordon is a recognized international expert on talent, training, careers, and education related to business and economic development. 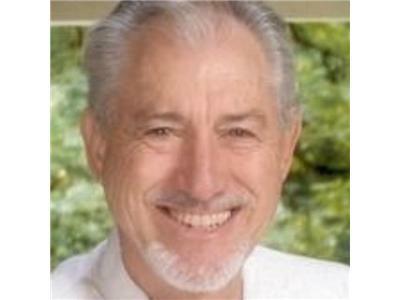 During his over 40 years of consulting, Ed has assisted many varied clients. He is the author or co-author of 17 books including Winning the Global Talent Showdown, The 2010 Meltdown, Skill Wars, FutureWork, Closing the Literacy Gap in American Business, Opportunities in Training and Development Careers, Literacy in America, The Tutoring Revolution, Peer Tutoring: A Teacher's Resource Guide and Tutor Quest.Imperial advises businesses and communities on skilled job and talent management. He helps rebuild broken job/talent pipelines. He assists in improving business productivity through strategic workforce planning, and help communities better compete through regional talent innovation networks based on expanding partnerships and collaborations between key regional stakeholders.Imperial has been in the job and talent development business for over 40 years. He focuses on real world solutions through compelling presentations, policy analysis, systems design, and advising/coaching.He also consults on career-technical education, adult literacy, job preparation programs, and career academies.